SYPNOSIS: Leonardo DiCaprio and Oscar-nominated Kate Winslet light up the screen as Jack and Rose, the young lovers who find one another on the maiden voyage of the "unsinkable" R.M.S. Titanic. But when the doomed luxury liner collides with an iceberg in the frigid North Atlantic, their passionate love affair becomes a thrilling race for survival. From acclaimed filmmaker James Cameron comes a tale of forbidden love and courage in the face of disaster that triumphs as a true cinematic masterpiece. DVD OVERVIEW: Celebrating the 10th year of the highest grossing film of all time Paramount Home Entertainment will release Titanic The 10th anniversary Edition on November 20, 2007. A film that when released managed to stay in theaters for about nine months. With a budget estimated of about two hundred million dollars, Titanic's impressive run through theaters around the world was able to collect approximately 1.8 billion dollars. Making use of the sinking of the RMS Titanic as backdrop James Cameron created one of the most talk about love story in years. Even though Titanic's running time was three hours and 14 minutes the audiences truly feel transported to that time and place making the running time of the film not a factor. Magically Cameron's story captivated people around the world making this film the most watched movie. This special 10th Anniversary Edition DVD, is a Titanic fan's dream come true. With excellent special features all related to the making of the movie from its history, to behind the scenes with the cast, this DVD is a priceless jewel. Not to mention, the commentary by Director James Cameron who brings us the beginnings of the film and discussion on how he managed this big budget movie. Also a historical documentary by Don Lynch and Ken Marschall on how the film came to life. The most famous theme of this movie, Celine Dion's music video "My heart will go on" is also featured. But the most special treat of this celebration is a surprising alternative ending. This award winning movie in DVD is a timeless classic that gracefully brings us a comprehensive overview of the movie. This movie is one of my all time favorites! I always cry and it is totally worth watching. Excellent acting from the cast and the fantastic James Cameron did an amazing job with this film. Plus, Leonardo DiCaprio looks absolutely GORGEOUS!! 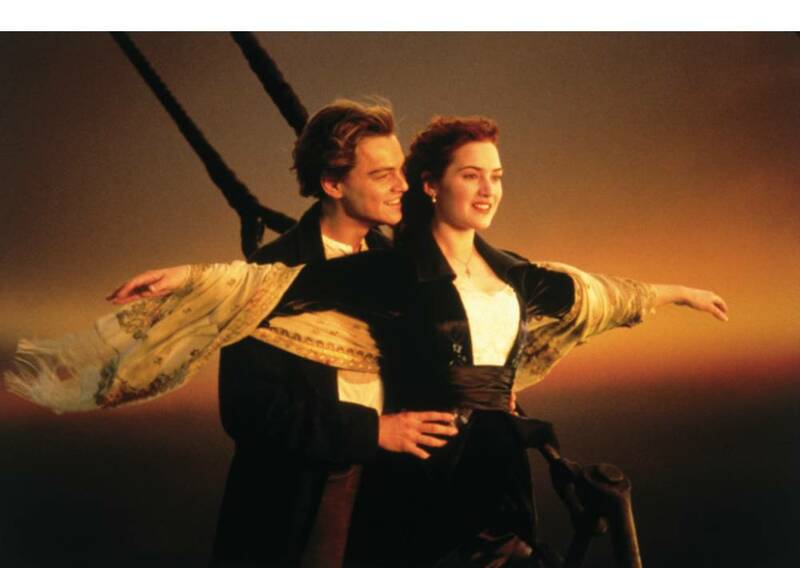 its a way good film and its the best one ever i want them to make a titanic 2 please!!!!!!!!!!!!!!!!!!!!!!! a cute coulple! did rose die at the end? i cant tell if she died or went to sleep. This movie never fails to make me tear. A very good job to the two greatest stars ever, Leonardo DiCaprio & Kate Winslet as well as the really terrific director, James Cameron. the most titanic movie of all times. the romance, the tragedy, the feeling off the peolpe about 96 yeaqrs ago is a legend.